Knowing the exact size of your saucepan can eliminate mistakes and messes in the kitchen when you are cooking. Recipes often specify the size of the saucepan you should use. 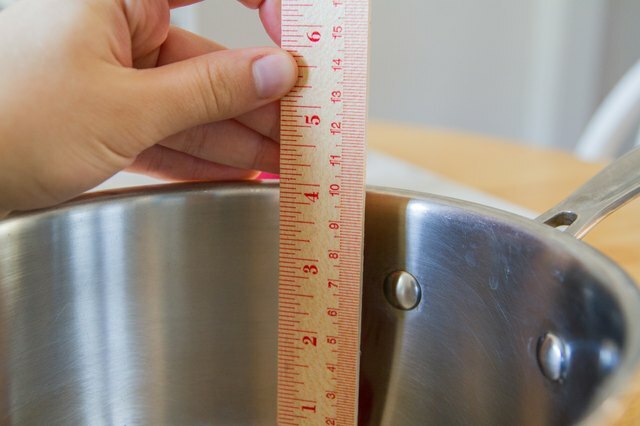 If you do not know the size of your saucepan and it is not marked or labeled with a size, measure the the saucepan using a measuring cup and a ruler. 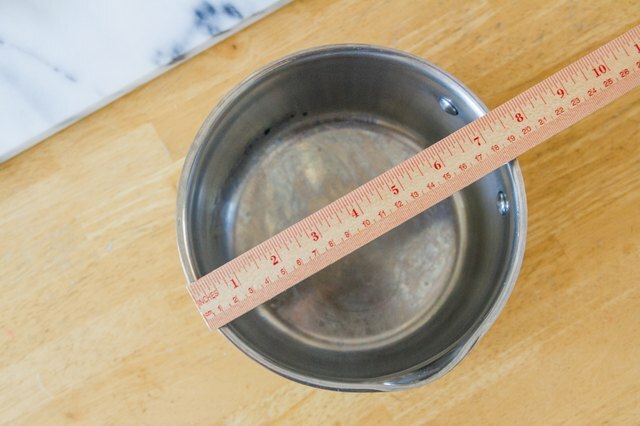 Measure the depth of the saucepan by placing the zero end of the ruler on end in the center of the saucepan. 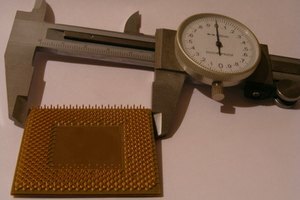 Hold the ruler straight up and note the depth of the saucepan. 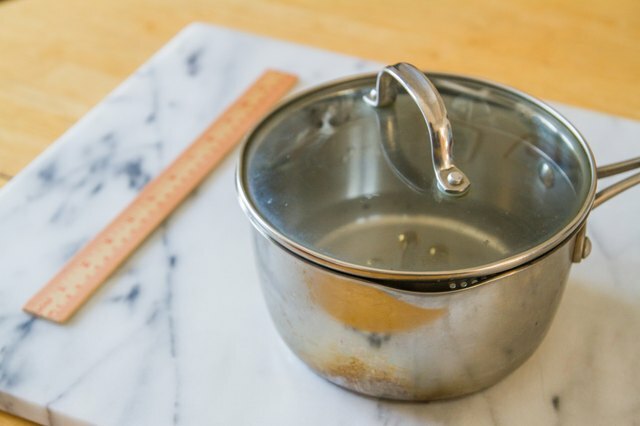 Use the ruler to measure the diameter of the saucepan across the top. Place the zero end of the ruler on an inside edge of the saucepan and measure straight across the saucepan to the other inside edge. 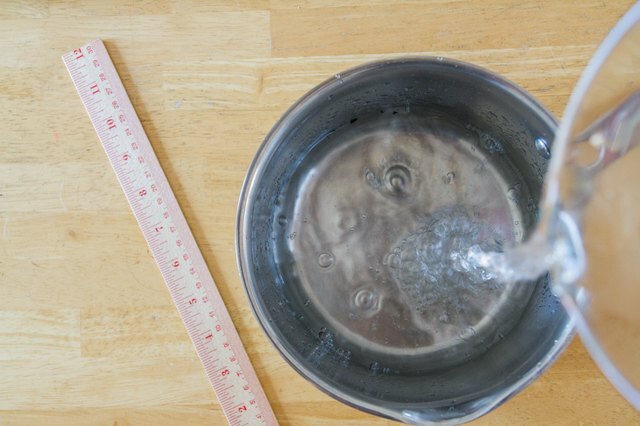 Fill the measuring cup to the 1-quart line with water and pour the water into the saucepan. Continue adding quarts of water to the saucepan until you fill it to the rim. 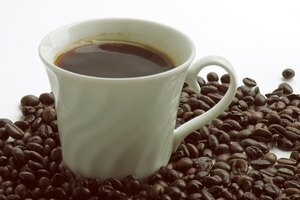 The number of quarts of water the saucepan holds is the quart capacity of the saucepan. Always follow the recommendations in a recipe when the recipe suggests using a specific size saucepan. This can eliminate the chance of messy boil-overs on the stovetop.